Chatrium Hotel Royal Lake Yangon invites you to come and savor the true taste of Japan at our Deluxe Buffet Dinner at Kohaku Japanese Restaurant every Friday, Saturday and Sunday together with a Monsoon Special gift for all Japanese food fanatics. This deluxe buffet dinner has over 60 items including fresh sea crabs, snow crabs, sashimi, lobsters and Japanese and Thai beef with many different sauces and cooking styles including teppanyaki, teriyaki and shiyoyaki together with a host of fantastic hot dishes, all lovingly prepared by Chef Hiroshi Swang and his talented team. 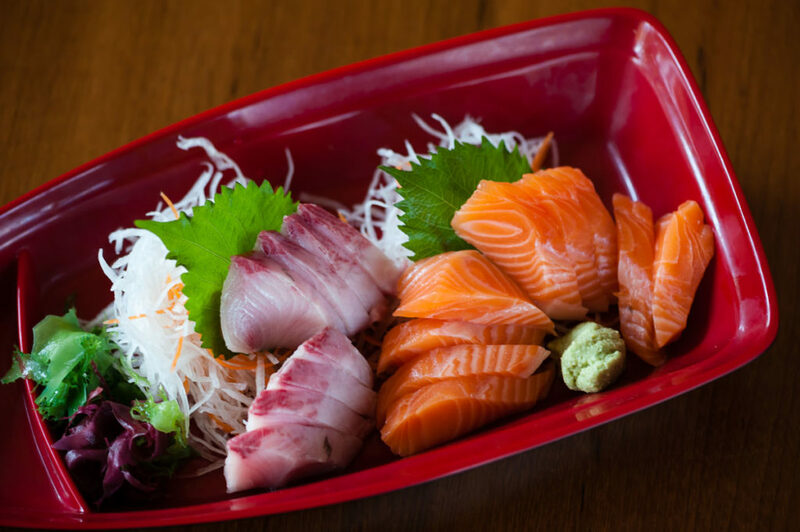 It is due to their unrivalled dedication to the culinary arts that Kohaku Japanese Restaurant was the winner of the “Best Japanese Restaurant” at the Myanmore Dining and Nightlife Awards 2015. Seafood, fish and meat are prepared à la minute ensuring that both the taste and temperature of the dishes are at their optimum deliciousness and together with these delectable delights the buffet also features famous Japanese fare such as shabu shabu hotpot, miso soup, different types of tempuras, chawanmushi, assorted sushi, maki, and colorful sashimi and much more together with dreamy desserts, cakes, ice cream, coffee, fruit and juices. To celebrate this monsoon with your family and friends, Kohaku would like you to enjoy our extra special gift of fresh imported French Fine de Claire oysters from the largest oyster producing region in the world and free-flow Japanese Kirin draught beer, at a magical monsoon price of only USD 46 nett per adult with children under 12 years old accompanying their parents receiving 50% discount. So come enjoy the true taste of Japan in the heart of Yangon and celebrate this monsoon with your loving family and friends for a meal to remember. Don’t forget to let everybody know about Kohaku’s special monsoon gift so they can enjoy it too! Kohaku Japanese Restaurant, one of the best Japanese restaurants in Yangon, warmly welcomes you with its contemporary Japanese-style décor. 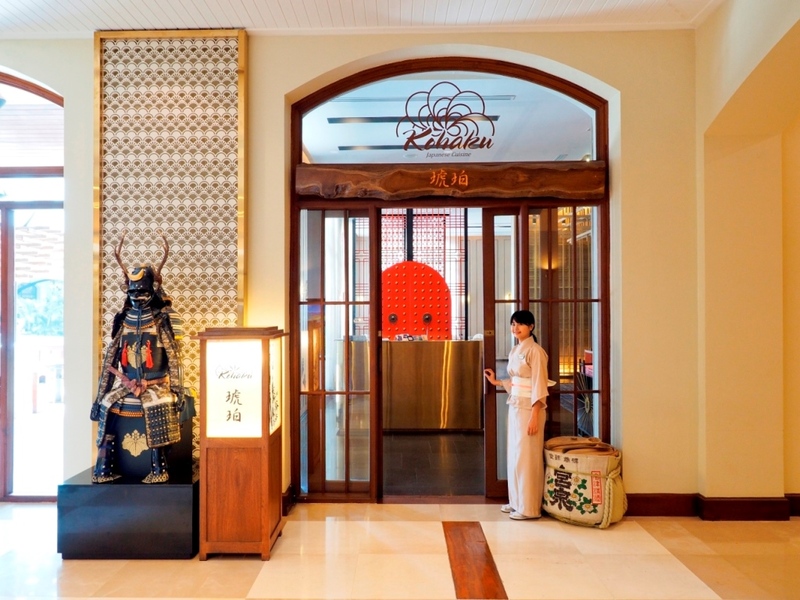 The earth tones of the restaurant’s interior design, ceiling, floors and furniture are so cosseting and relaxing and the 100 year old timber long tables in the 2 private rooms named “Kiku” are a magnificent addition to the ambiance. 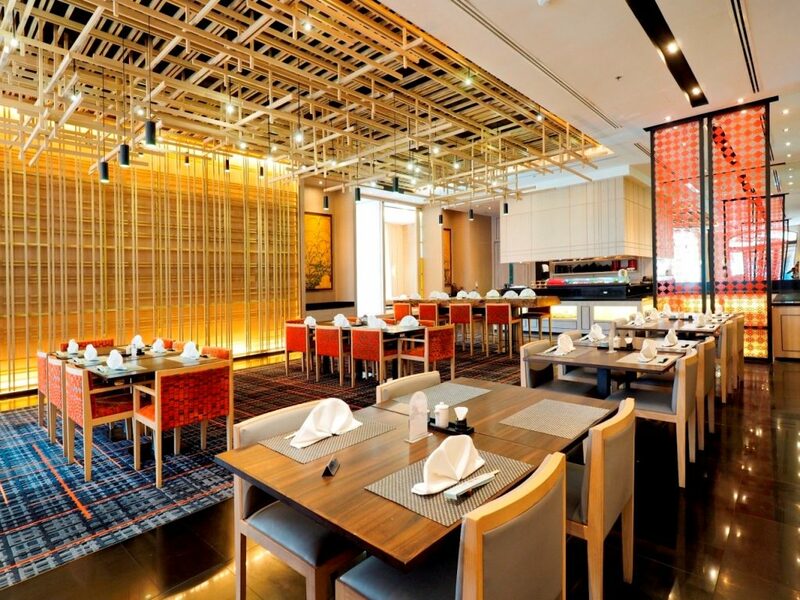 Kohaku also offers an outside terrace which allows diners to indulge in the perfect al fresco atmosphere. Kohaku can accommodate up to 112 guests and is open for lunch from 11:00 a.m. to 2:30 p.m. and dinner from 6:00 p.m. to 10:30 p.m. The exquisite à la carte menu, set lunches and à la carte buffet menus are complemented by the unmissable Kohaku Deluxe Buffet Dinner every Friday, Saturday and Sunday evening.